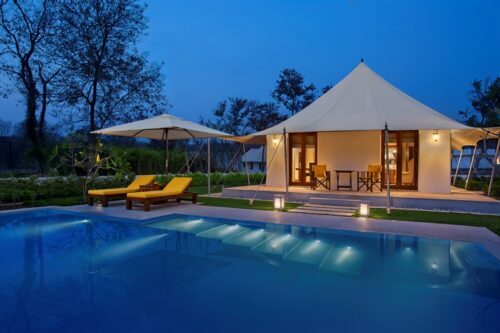 The Oberoi Sukhvilas Resort & Spa is a brand new luxury destination spa set in the foothills of the Himalayas. 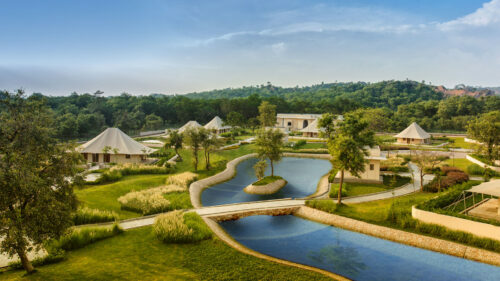 The resort is surrounded by 8,000 acres of pretty Siswan forest, just outside of Chandigarh the state capital of The Punjab and Haryana. 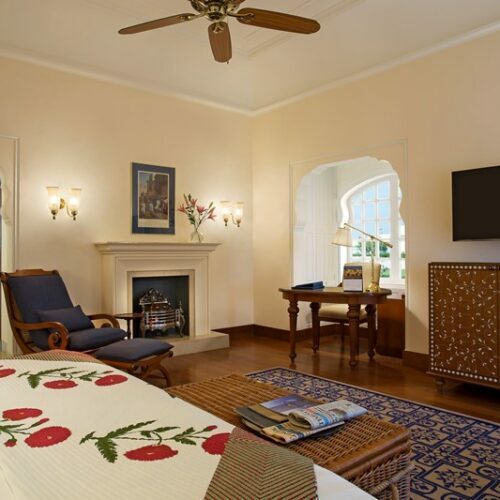 The Oberoi Sukhvilas now provides a lavishness base from which to explore the pretty countryside along with the extraordinary city made famous by the French architect Le Corbusier. 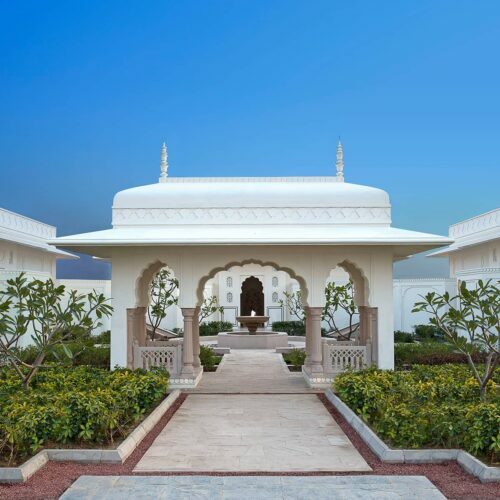 Embracing traditional Indian architecture, the hotel is the latest of the Oberoi 'Vilas' properties to open. 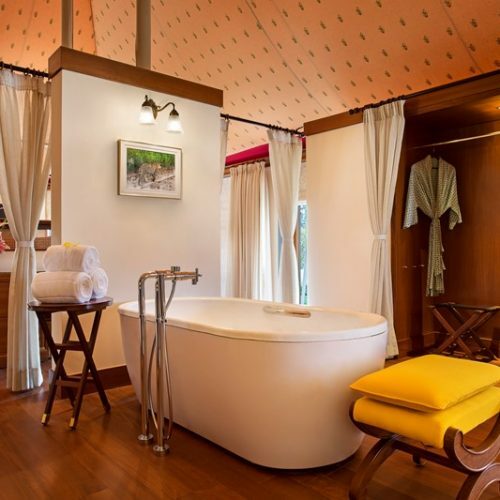 The accommodation is well laid out throughout the extensive grounds and each cluster of rooms offers the very latest state of the art technology within spacious private villas and luxurious regal tents. 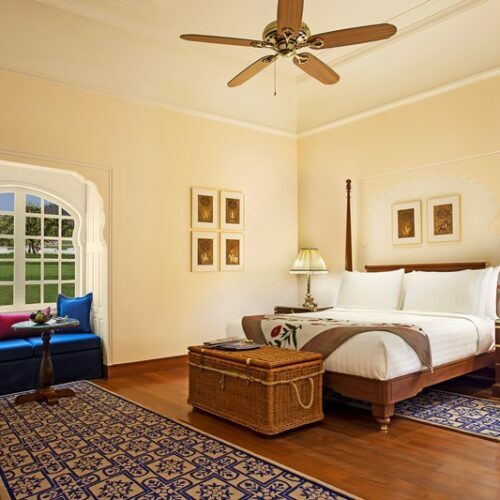 The beautiful landscaping echoes the historic Mughal Gardens, offering a beautiful and tranquil setting in which one can truly unwind. 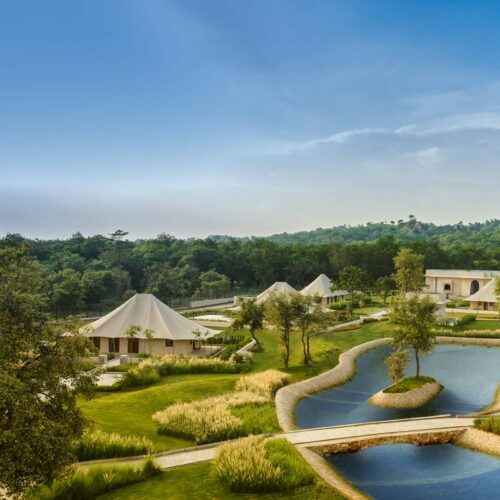 The Oberoi flagship Spa will offer the very best in Indian and international wellness treatments including Ayurveda, hydrotherapies, an infrared sauna, a Turkish Hammam and a Roman tepidarium. 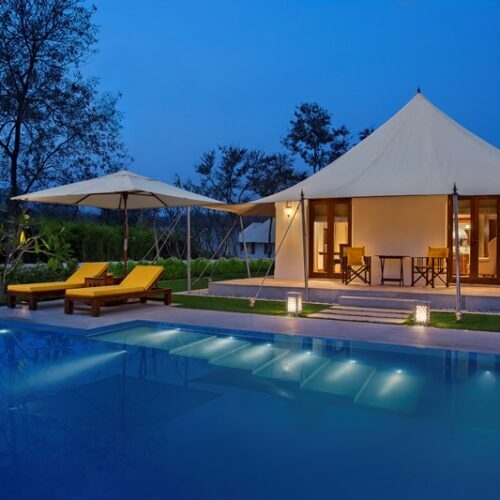 The main restaurant, and specialty restaurant will offer a wide array of global cuisine in both indoor and al fresco settings.